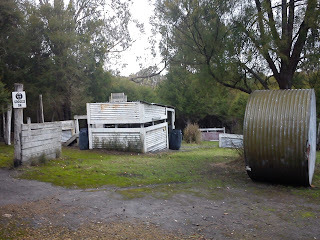 Last Sunday I drove just over an hour to a small town named Coldstream. 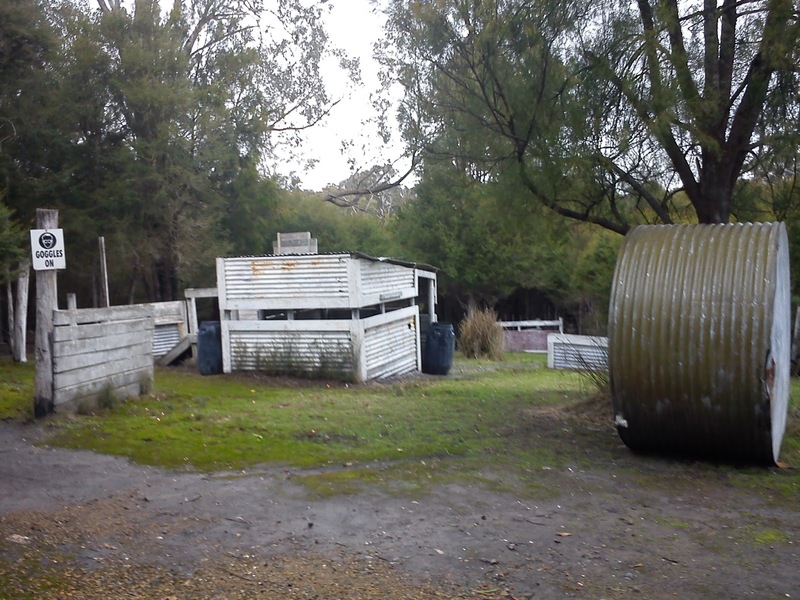 There I joined a number of other blokes for a game of paintball. 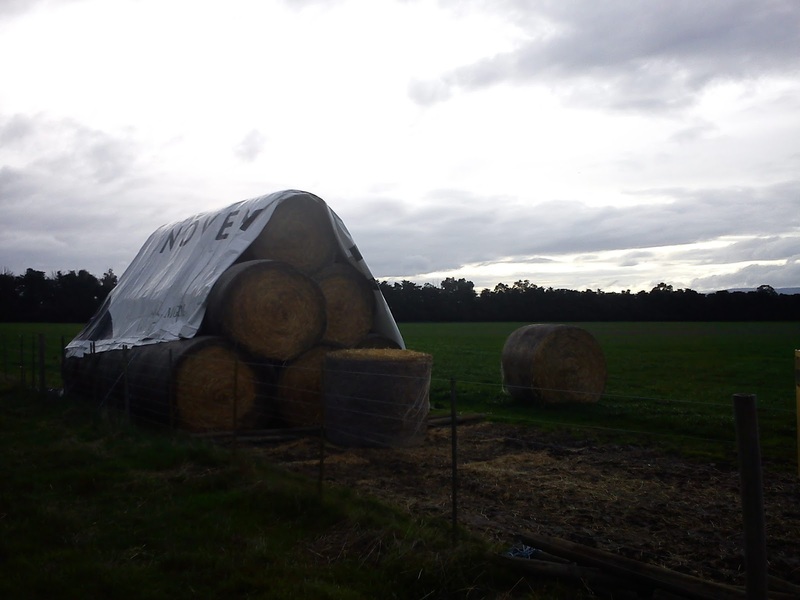 It was part of a bucks day for a friend who'll soon be travelling with his fiance to Paris, France to get married. 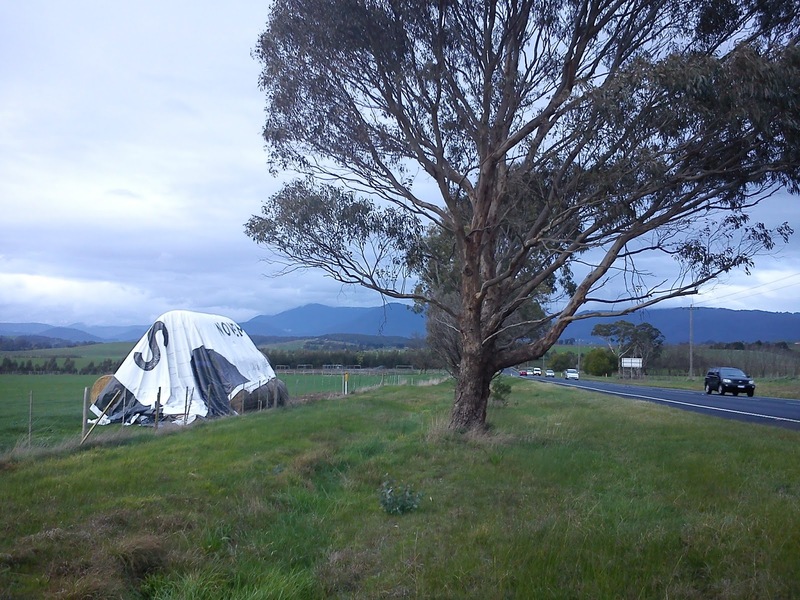 On my way to Coldstream, while driving at 100 km/h, I noticed an unusual sight out of the corner of my eye in a paddock close to the road. As soon as I saw it I thought "I'll have to check that out on my way home". 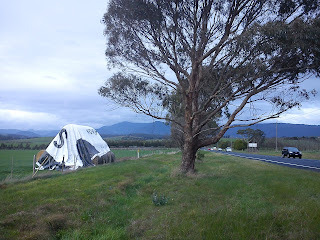 So on my return journey, as I drew close to the same location, I pulled over and had a look. 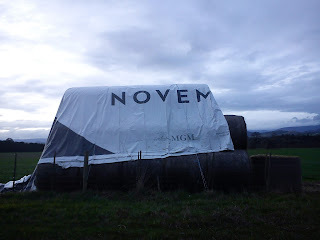 .... as did the "Novem", the MGM logo and the giant "S" on the side. 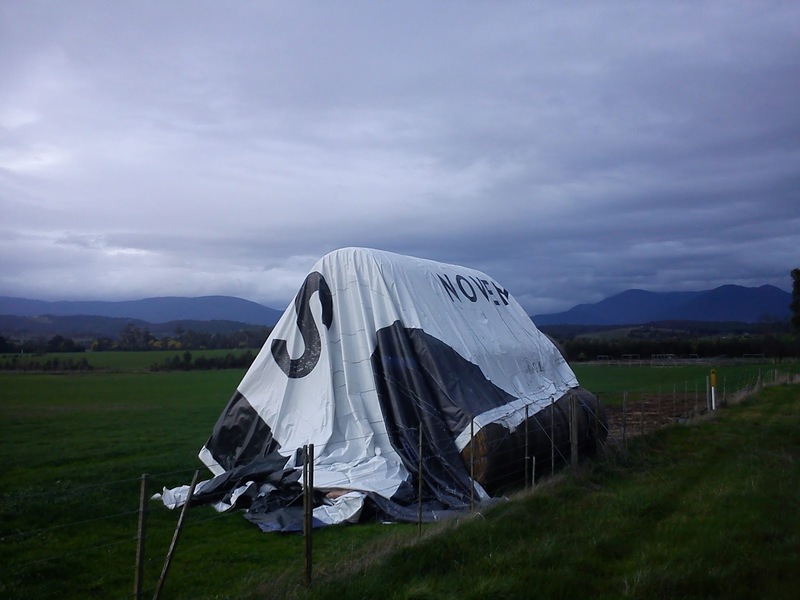 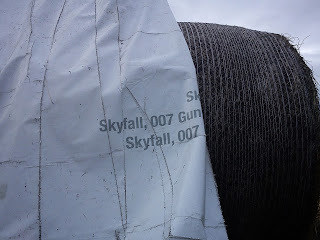 Yep, that's right, it was a giant canvas billboard poster for "SkyFall" sitting in a paddock in almost rural Victoria. So that's where those massive billboards finally end up !